People these days love to experiment with various adventurous feats just for the thrill of it. However, the agencies that offer them these adventures can no way be held responsible in case of an untoward incident. Liability forms are usually used in such cases by these agencies to waive off any kind of liability they may have in case of a mishap. This form is signed by the person before he engages in such a feat. By signing this form he agrees to be aware of the risks that he might be subjecting himself to. 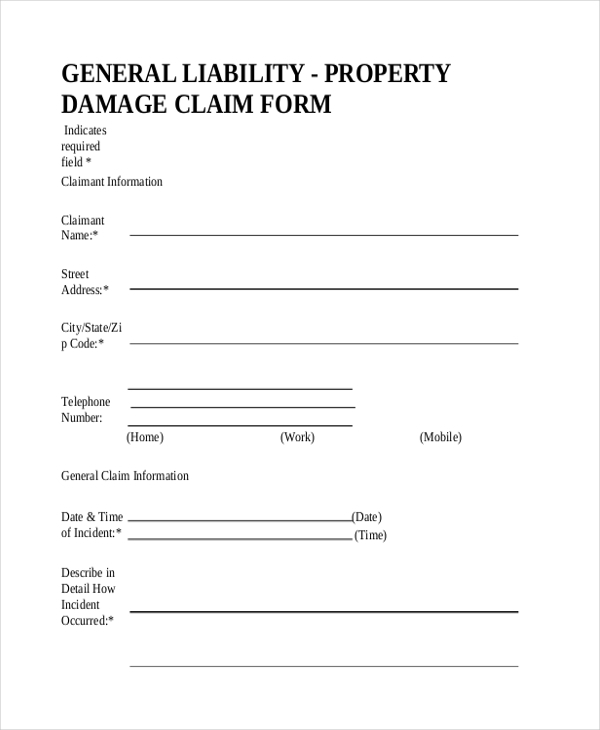 This form is used by an insurance agency to allow its customer to raise a claim against a loss or liability that he may have come across in the course of an incident. Adventure clubs and sports clubs use this form to waive off any responsibility that they may have in case of a mishap. By signing the form, the participant consents to be solely responsible if something goes wrong. 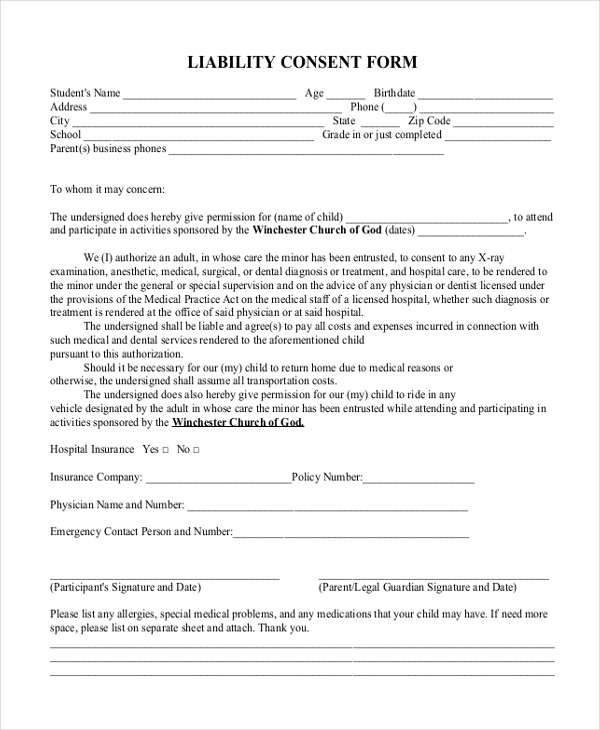 This form is used by sports/adventure clubs to enable the parents to declare that they are solely responsible in case their child meets with an accident. By signing this form the person frees the club authorities from any responsibility in case of a mishap. When a person plans to take up a dangerous sport or activity, the club asks him to sign this disclosure form which announces that the club is not accountable for any unfortunate incident that may happen during the activity. 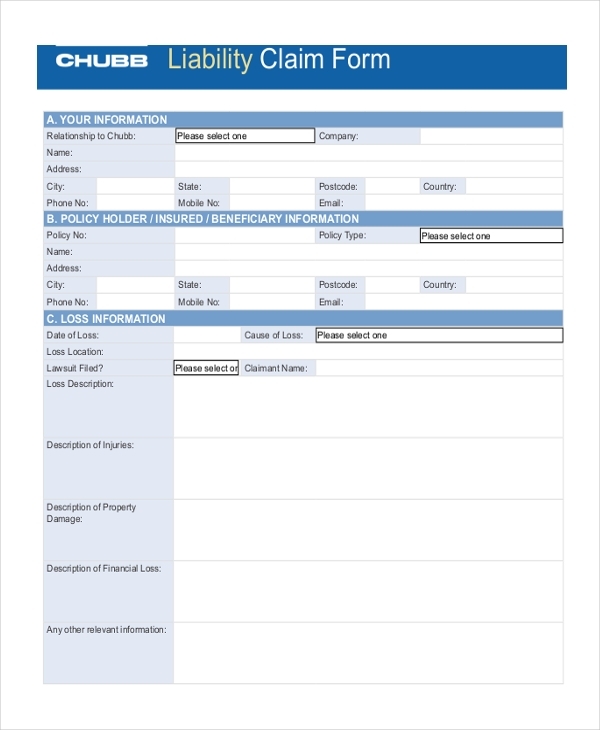 The government uses this form to inform a citizen about the pending liabilities. Generally, these are tax liabilities and the form informs the person about the amount that he should pay. 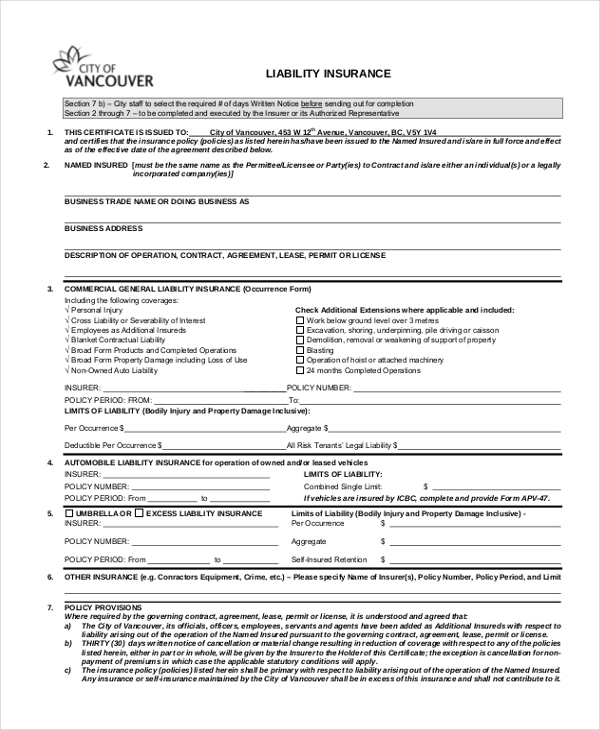 This form is usually used by an insurance company to understand the liabilities of an applicant before offering him a policy. By assessing the form the agent can decide as to which policy will be best for the customer. When a person pays off his liabilities, the organization or government agency issues him a liability release form that elaborates on this fact. The possession of the form denotes that the person has no more withstanding liabilities. 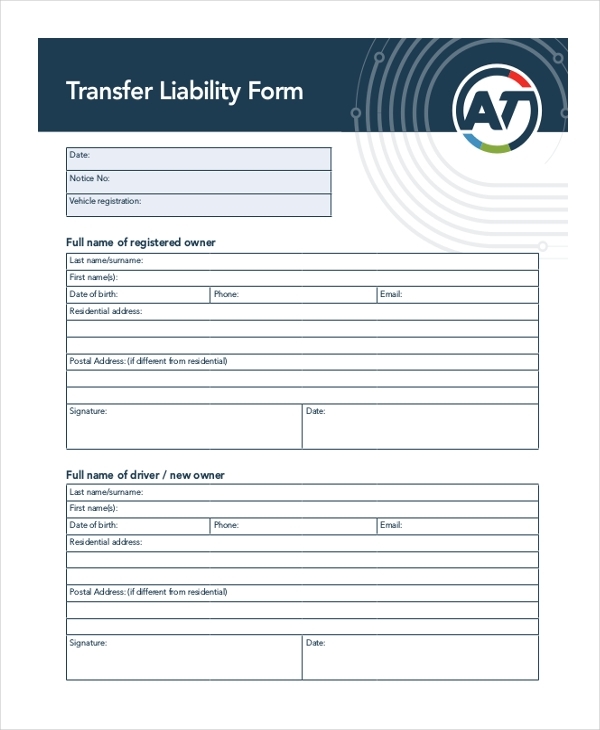 When a person wishes to transfer his liabilities to another person due to some valid reason, he can use this form for the purpose. Once this form is signed by the two parties, no one can hold him accountable for the liabilities. 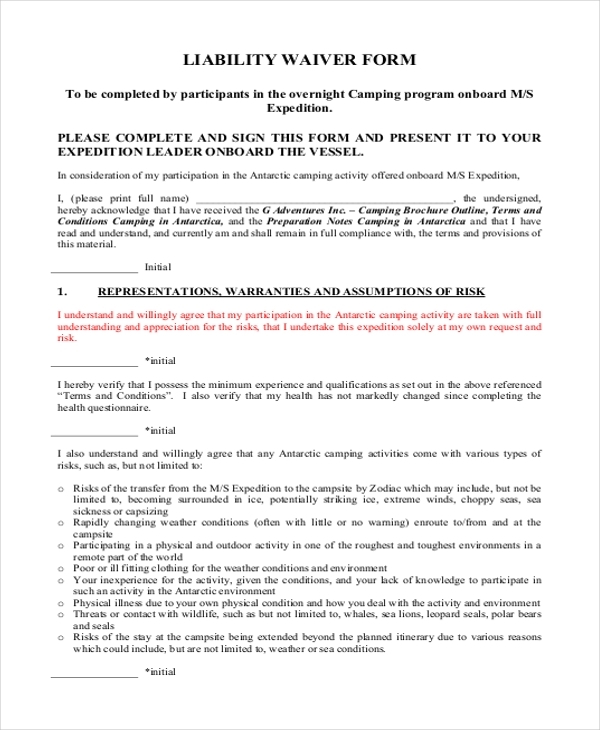 A person engaging in adventure sports is required to sign this liability waiver sample waiving off the responsibility of the organizers in case of a mishap. 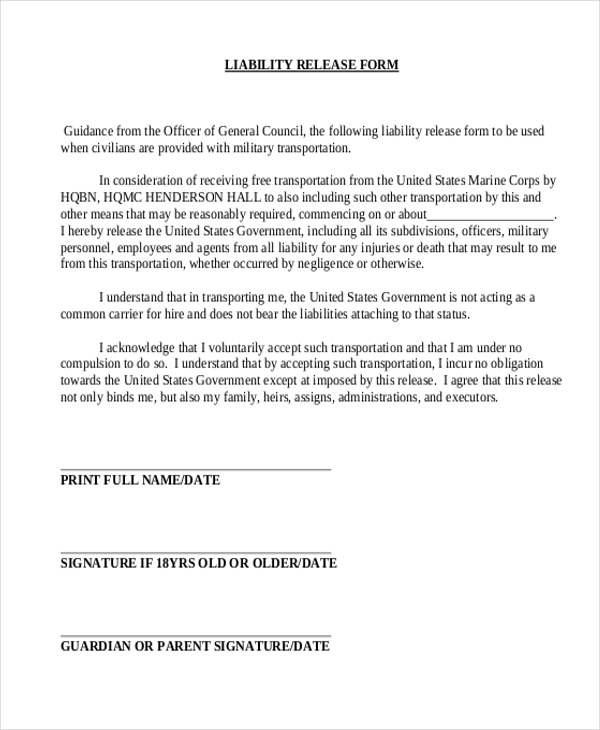 By signing this form he consents to be solely responsible for his safety. 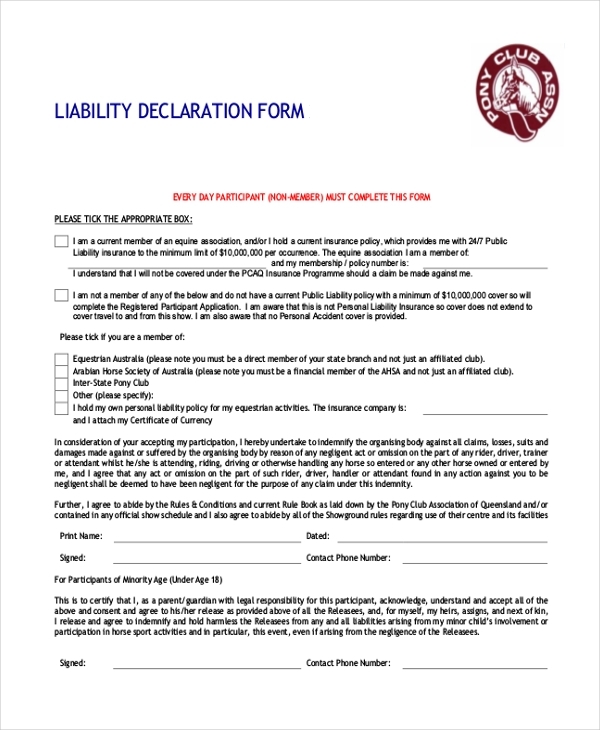 This template gives you an idea of how to design a liability form. It follows the desired format and helps the user to understand the segments that should be included when designing such a form. When a person wishes to insure himself against any kinds of mishaps, the insurance company uses this form to get the details of the liabilities against which he wants insurance. This is a standard design of a liability form and gives you an idea about the format that should be followed when designing such a form. 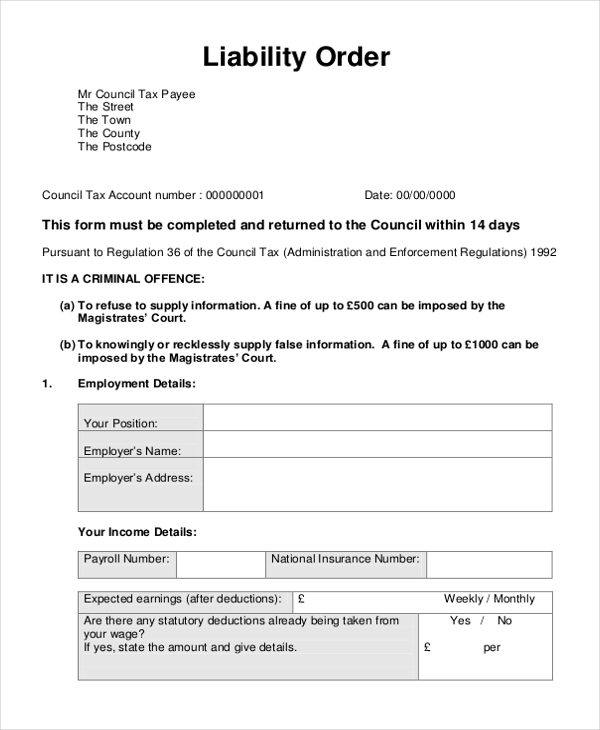 This form can be used by anyone irrespective of what their need is by making certain changes to the format. 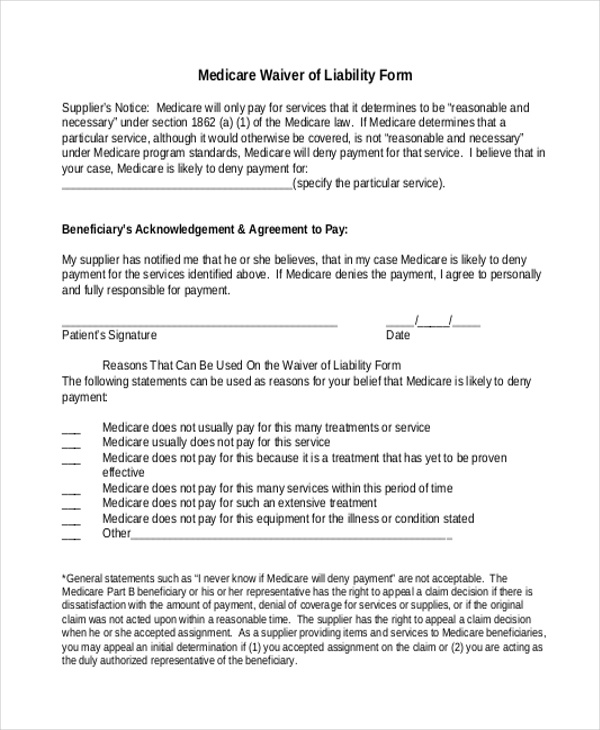 This form is used by hospitals and medical care centers to ensure that they are in no way held liable if Medicare does not clear all the patient bills. The authority gets this form signed from the patient before admitting him into their hospital. What are The Benefits of Using Liability Forms? 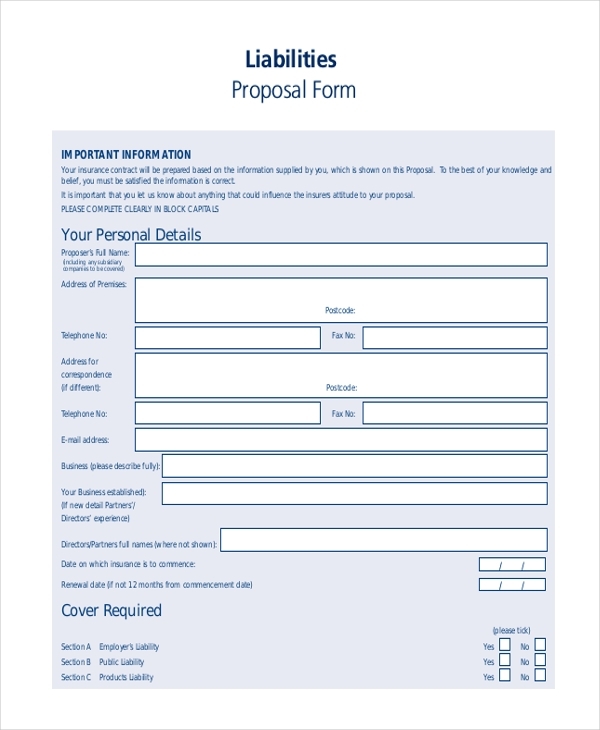 In case you are thinking of designing liability forms but are not sure how to get started, take a look at the wide collection of forms that we have to offer. We have a diverse collection which ensures that you will surely find a form that will be apt for your need. 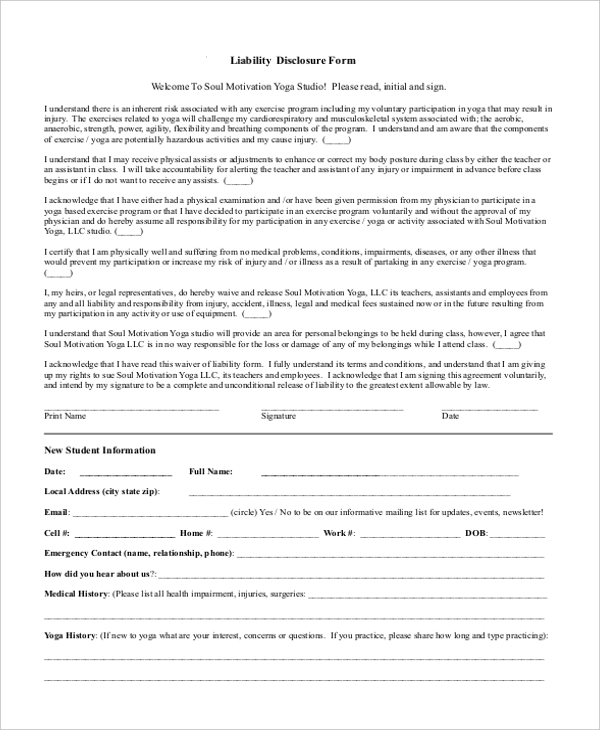 Download this form and then customize it as per your requirement.